Nevada entered a legal race to be the first state to legalize online poker. They were very adamant that they would beat their rival New Jersey to the chase. They succeeded in their aims when the bill sped through both houses of legislature in record time: 4 hours. Lobbyists in favor of the bill rightly argued that restricting online poker was simply ignoring the natural progression of the gambling industry. Legal platforms all have software and systems in place to track players. Since the legality of online gambling is always being called into question by counter-bills and protests from other states, it is important that legal platforms respect the restrictions. Nevada still has to prove that online gambling platforms can be run in a manner which does not impair or endanger their community. 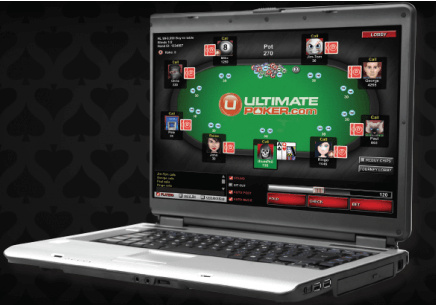 Ultimate Poker was the very first platform to gain its license back in 2013 so it made history in the process. However, in November 2014 it was announced that Ultimate Poker would have to shut down following a shortage of funds. Poker News quoted Chairman of Ultimate Gaming admitting that “online poker revenues in Nevada” had “fallen far short of original projections,”. He added that the fact the operators are required to get separate licenses for every state often proves to be an incredibly cost-heavy system. Indeed, this failure proves that the restrictions on online gambling in the US are incredibly detrimental for the industry. Despite this, here are the platforms that continue to operate in Nevada in 2015. All legal online platforms must be associated to a licensed casino within the state of Nevada to be legitimate. WSOP is owned by Caesar's Interactive Entertainment Inc which has one of it's largest US branches in Vegas. It is therefore no surprise that the WSOP managed to gain approval as a legal operator in Nevada. As stipulated, only players inside this state may utilize this poker platform. Real Gaming is another online platform which was legalized by the Nevada Gaming Comission. This is a brilliant Poker platform backed by the South Point Casino in Vegas. AcePlay is a free poker platform which is licensed via the Stratosphere Hotel and Tower. As a platform which encourages playing rather than real money gambling, this is obviously a safer site for residents with a tendency towards addiction. This online poker site does not class itself as a gambling platform it is legal in the US. It is also the official membership of the World Poker Tour. Although it may seem to have a similar concept, this platform falls into a different category and therefore doesn't require a Nevada casino partnership to exist. In February 2015, the Nevada Gambling Commission approved new regulations to enable betting on the 2016 Olympics in Rio de Janeiro. This is another historical victory for Nevada and it will prove very profitable for operators like William Hill. This motion had a lot of support and it will surely change the face on online gambling in Nevada in the summer of 2016. Horse racing betting is legal in the majority of US States. The gaming commission regulates all offline and online gambling ventures. They have regular meetings to make sure regulations are up-to-date and being respected by Casinos or operators. The Nevada Council also has a very impressive and informative web platform on Problem Gambling. Any residents may visit this page to seek help and advice. There is also a 24 hour help line so if gamblers feel they are at risk they may dial: 1-800-522-4700 to receive immediate assistance from a professional. You can also email: [email protected] to get help or ask a question.